Here are two stories about influence. One reveals what happens when you build it. And the first one reveals the consequences when you don’t! Once upon a time, about 50,000 years ago (give or take) there lived a man. One day, the man saw a woolly mammoth. The man came from a starving tribe – who foraged desperately for food every day. The woolly mammoth looked very tasty indeed. 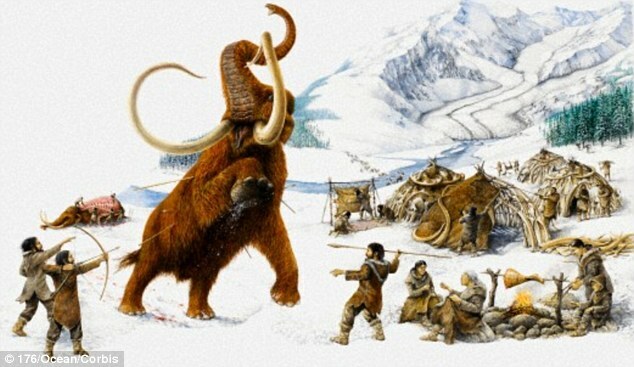 Having shaped his plan, the man attacked the woolly mammoth alone. The mammoth fought back. The man died. And consequently so did everyone else in his starving tribe. One day, the man saw a woolly mammoth. The man came from a starving tribe – who foraged desperately for food every day. And the woolly mammoth looked very tasty indeed. Having discussed, shared and refined his plan, the man influenced the other tribe members to join forces. Together, they attacked the woolly mammoth. The mammoth fought back. But the tribe successfully used all their collective skills to defeat the animal. And they shared the spoils between the whole tribe. The tribe had connected in their desire to eat, and collaborated to discover a smart way to make it happen. The man’s shared experiences established him as the most influential in the tribe. From then on, his opinions were widely sought on all matters. Connection and collaboration are baked in to what makes us human. It’s what makes us tick. Connection and collaboration are fundamental needs. They make you human. They make your buyers human. And they make your digitally-connected advocates human. So, how will a strategy of connection and collaboration help you to build influence for your brand and your business?